Growing up, hearing “Oregon” only really made me think of one thing – and that thing involved pixelated graphics, oxen, and people in my party dying of dysentery. But, just as the West Coast is much more than just California, Oregon is much more than just the Oregon Trail (the physical and computerized version). So when my partner Elliot and I started talking about planning a trip to Oregon to visit his sister who just recently moved there, I knew I needed to do some research. Because I wanted to be able to show you, too, that Oregon is a much cooler and much more beautiful state than many people realize. 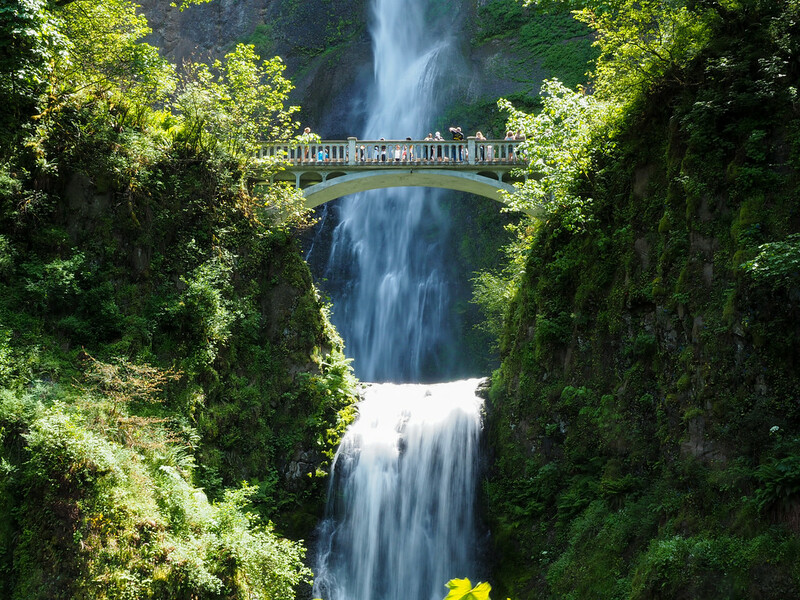 Multnomah Falls is a 620-foot double waterfall in the Columbia River Gorge; it's easily one of the most iconic sites in Oregon. 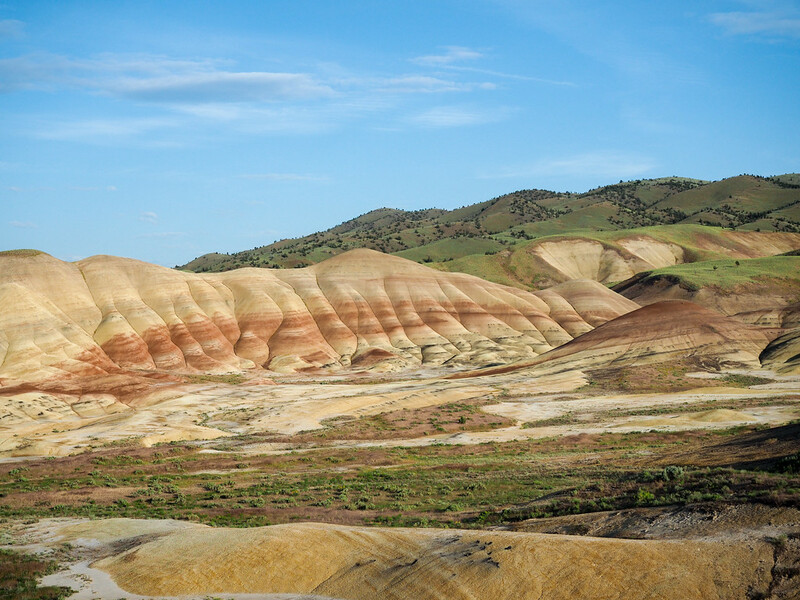 The Painted Hills in Eastern Oregon have been named one of the Seven Wonders of Oregon. The colors in the millions-of-years-old rock here change based on the light and time of day, but there's no denying that it looks like Mother Nature took a giant paintbrush to the land. Oregon's coast is incredible! This was snapped near the town of Oceanside. 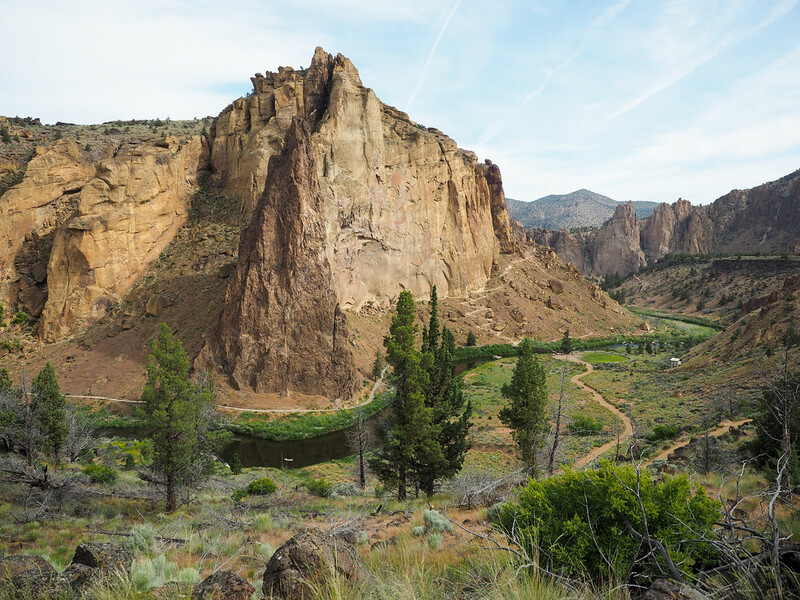 Smith Rock State Park in Central Oregon is another one of the Seven Wonders of Oregon – and this photo should show you why! 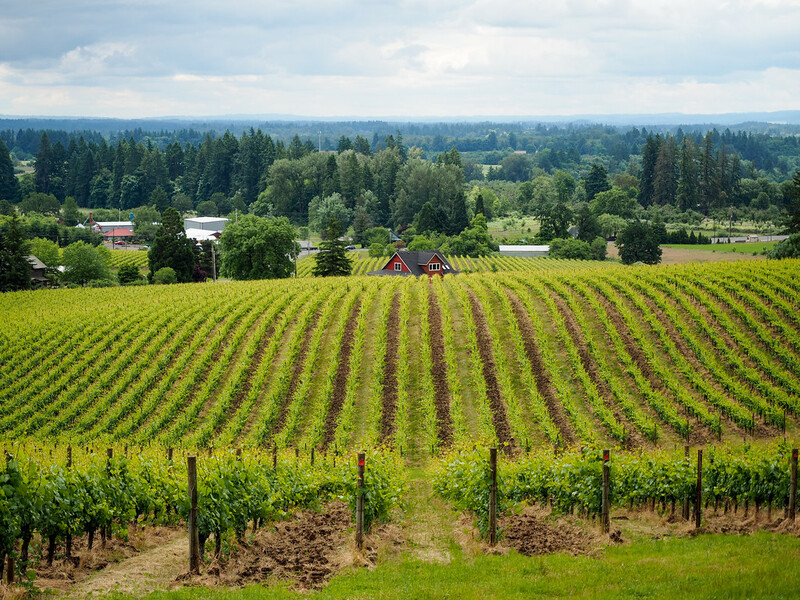 Oregon's Willamette Valley is renowned for it's wineries. This picturesque one is Sokol Blosser. 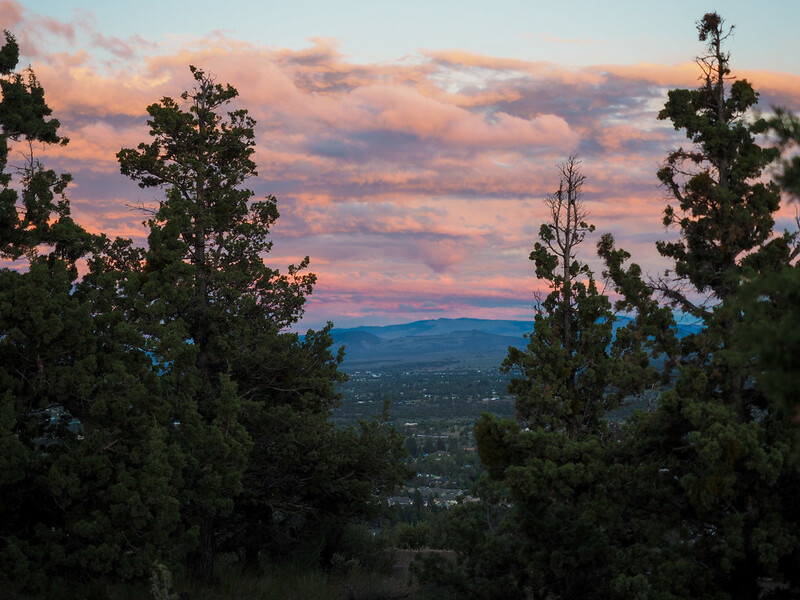 Sunset from Pilot Butte, which rises nearly 500 feet above the city of Bend. On a clear day, you can see lots of Oregon's mountains from here. 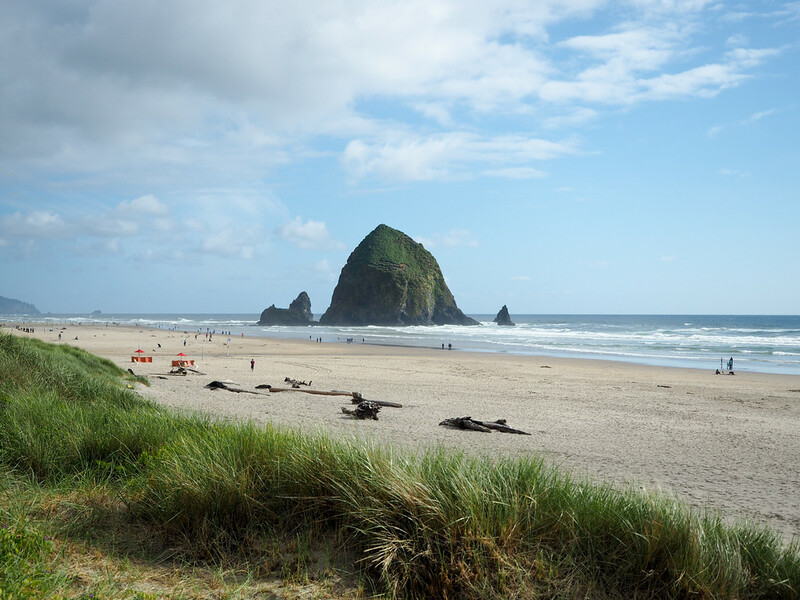 The famous Haystack Rock on Cannon Beach. This 235-foot sea stack is another icon of Oregon. 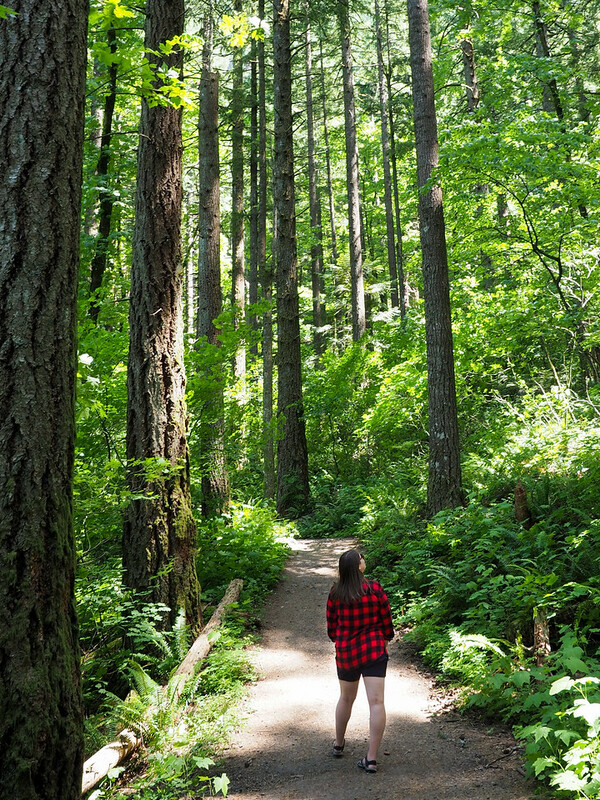 The Columbia River Gorge is famous for its waterfalls, but it also has some beautiful forests, too! 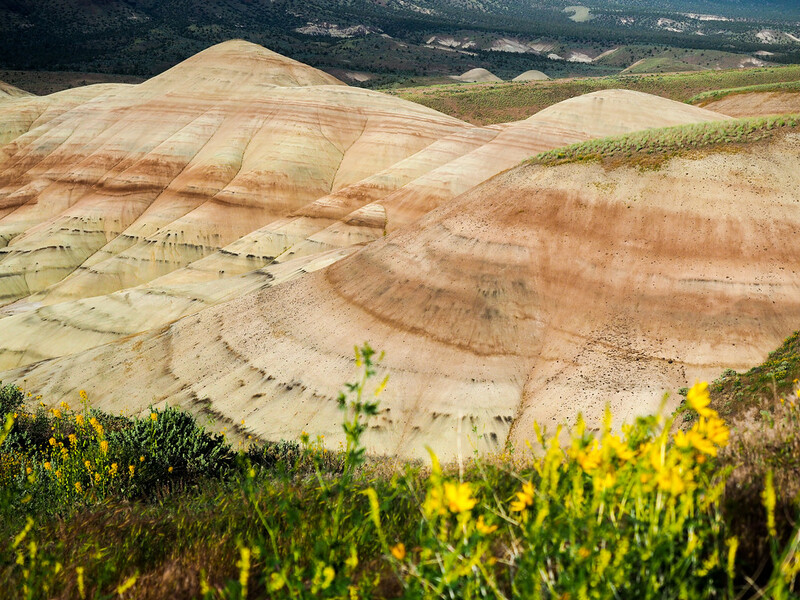 A closer look at the colors of the Painted Hills. This is actually one of three units of the John Day Fossil Beds National Monument. 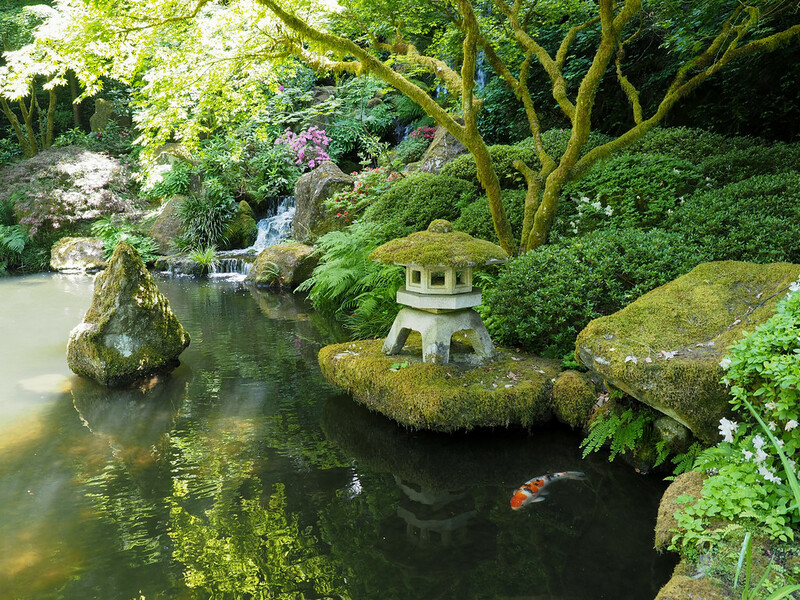 Portland has both traditional Chinese and Japanese gardens. This was taken at the Japanese Gardens, which are well worth a visit. 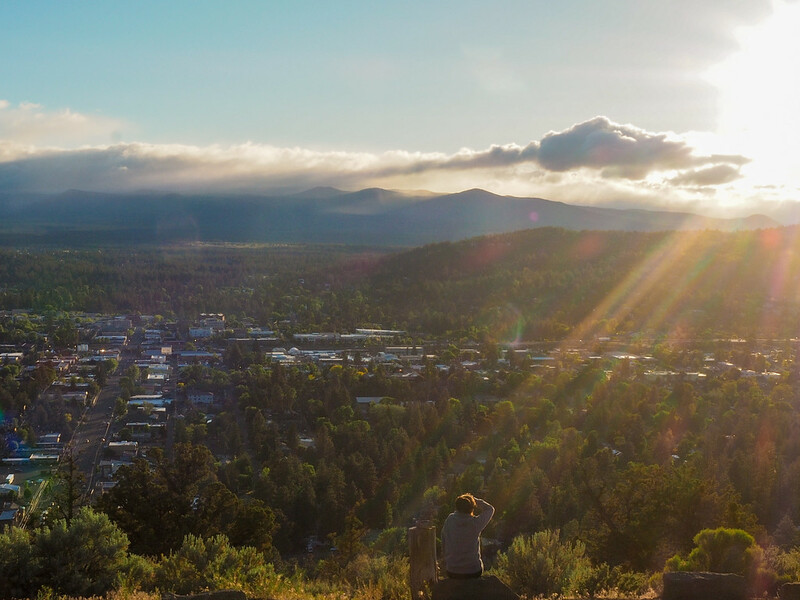 Another shot of sunset at Pilot Butte in Bend. 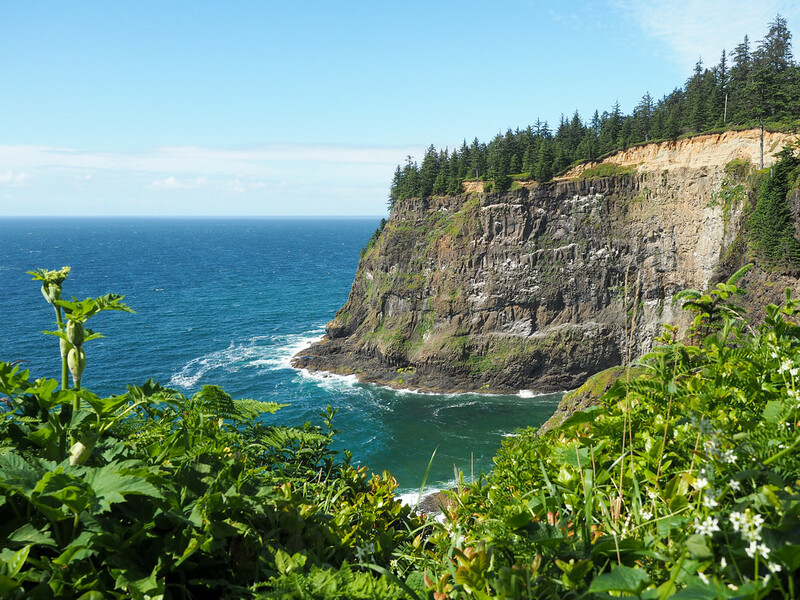 The Oregon Coast at Cape Mears. 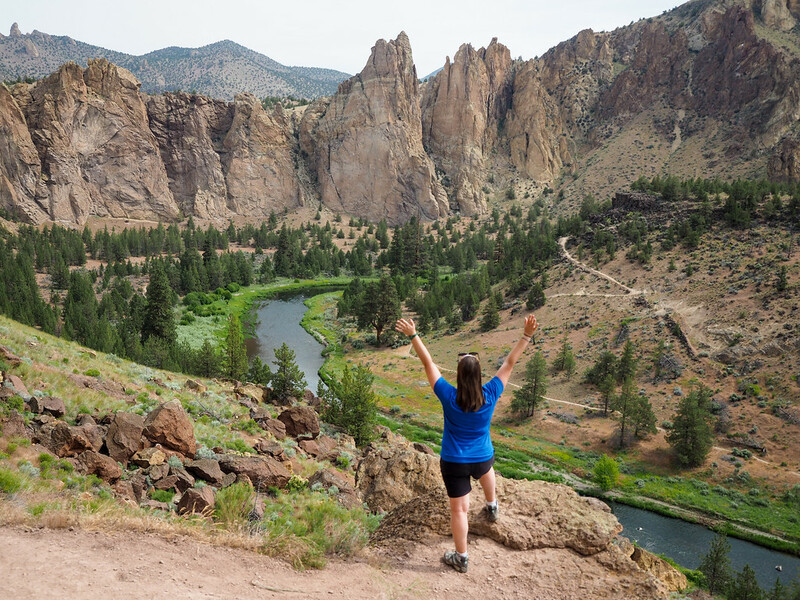 At Smith Rock State Park, the Misery Ridge hiking trail will get you views like this! Another view of Multnomah Falls in the Columbia River Gorge. Mt. Hood as seen from Portland, Oregon. The best thing about the Painted Hills? 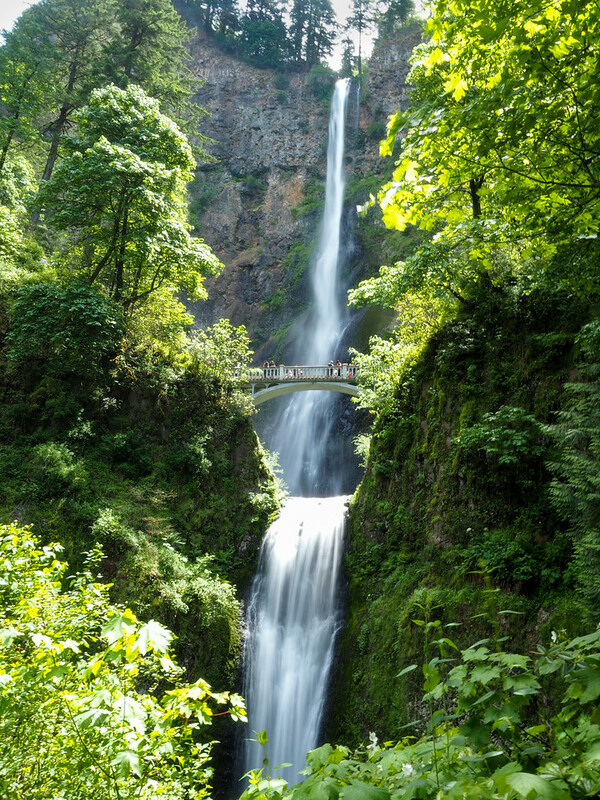 Unlike the Columbia River Gorge which can be super crowded during high season, hardly anyone visits this beautiful spot! 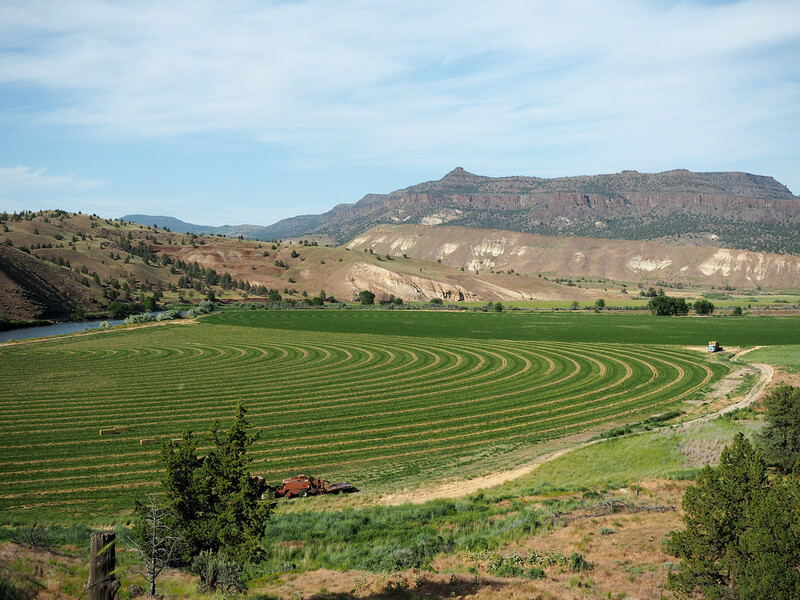 A view of Eastern Oregon. This half of the state is sparsely populated – we were driving on a gravel road when I took this! The beautiful Oregon coast at Cannon Beach again. 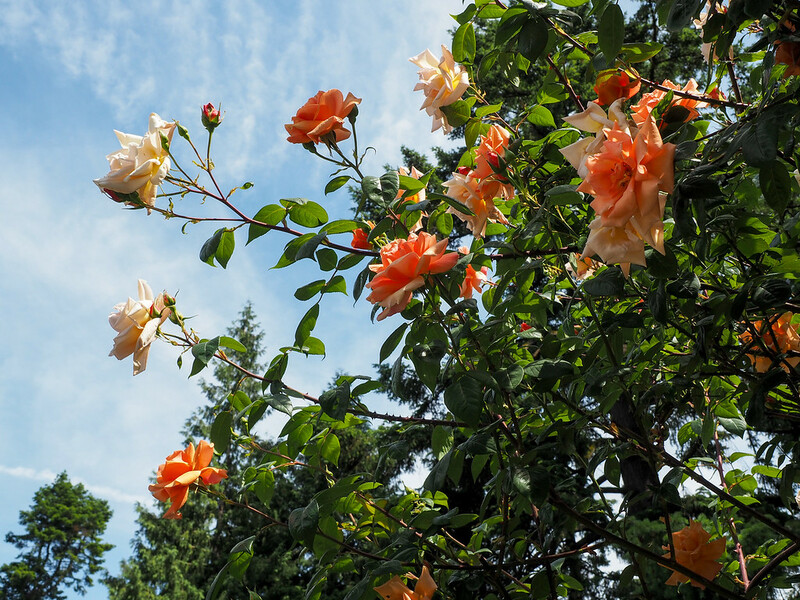 The International Rose Test Garden in Portland is free and the perfect place for a summer stroll. The Columbia River Gorge from above. 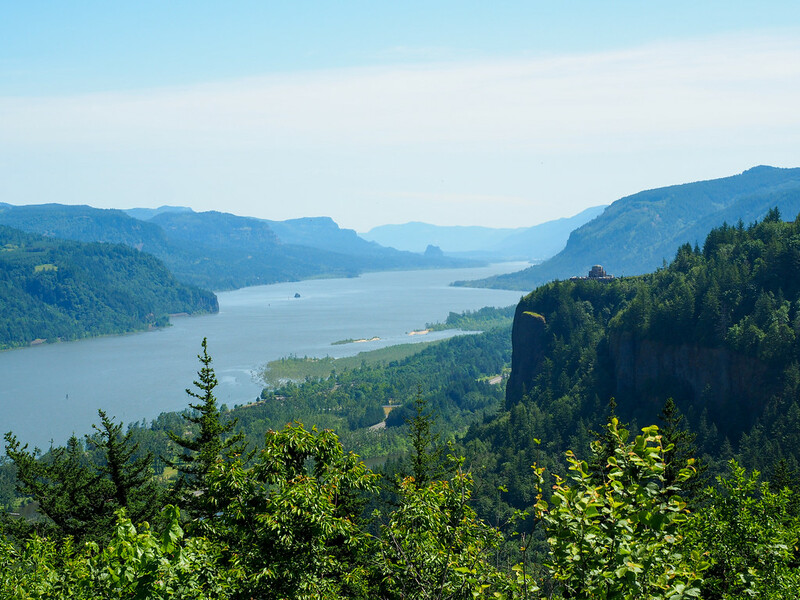 The historic Columbia River Highway here was first planned scenic roadway in the United States. 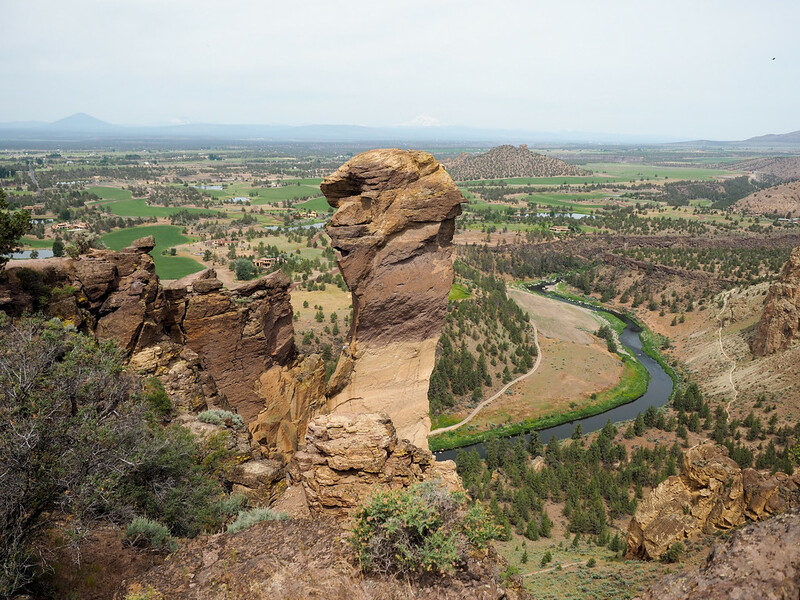 Can you see the monkey's face at Monkey Face rock at Smith Rock State Park? This is a very popular spot with rock climbers – in fact, this is considered the birthplace of modern American sport climbing. *Note: I had hoped to also be able to show you Crater Lake, which is the deepest lake in the U.S. and famous for its brilliant blue color. Unfortunately, thanks to a really harsh 2016-17 winter in Oregon, the roads within Crater Lake National Park were still closed due to snow when I visited in the first half of June! So travel tip: if you want to be sure to be able to visit Crater Lake, visit Oregon in late summer instead! 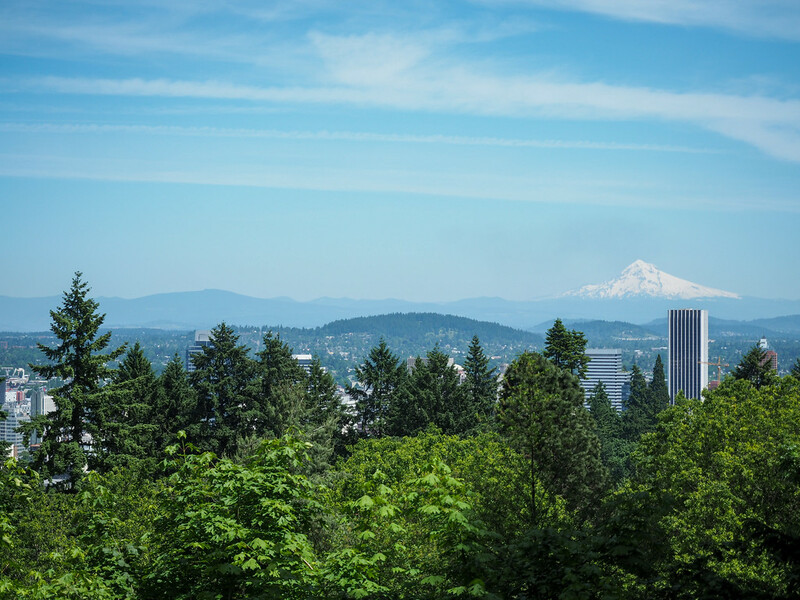 READ NEXT: Which of Portland's Top Attractions Are Actually Worth It? Did any of these photos surprise you? Which one makes you want to visit Oregon the most? Those falls near the top are just beyond super stunning Amanda. Brilliant shots. One of my blogging buddies lives in Oregon. He lived on the Pacific for years with his family. His selfies from the backyard looked just like a scene from one of the Twilight movies which made me chuckle but talk about paradise. Definitely on the travel list. Oregon has some seriously underrated beauty! I hadn’t heard of Smith Rock State Park, but it’s definitely one we’ll have to head back to check out. We just spent the weekend at Crater Lake about a week ago. The roads are open but not entirely, so you can’t make the full loop on Rim Road. Seriously beautiful lake, but TONS of mosquitos since the snow is just melting. Definitely worth a visit when you have a chance. Thanks for sharing these! Now that Elliot and I have family living in Bend, I’m quite sure we’ll be back to Oregon! Next time we’ll visit later in the summer, though, so we can hopefully make it to Crater Lake! Multnomah Falls is really amazing! Beautiful pictures. These pictures really made my mind to go to Oregon. Thanks for sharing this with us. 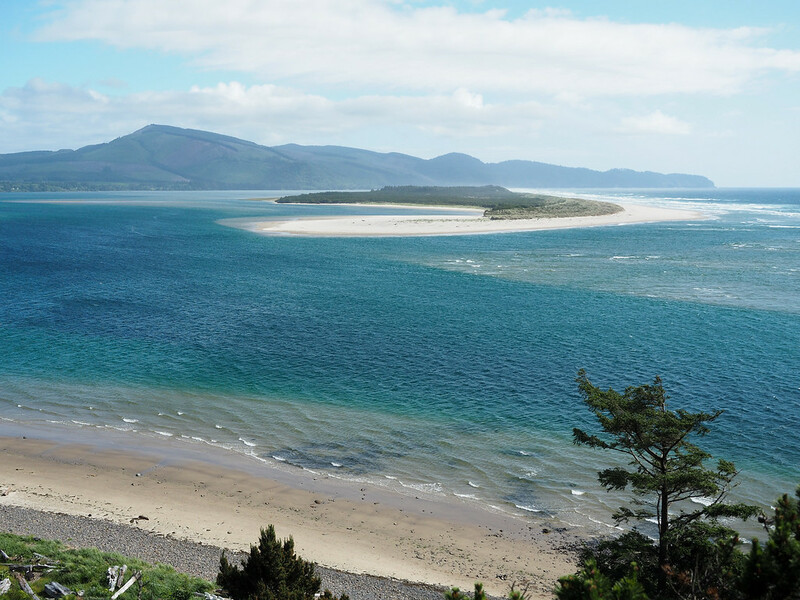 It doesn’t really take too much convincing once you see photos like this though! Thanks! I was really surprised by so many parts of this state! Gorgeous!! 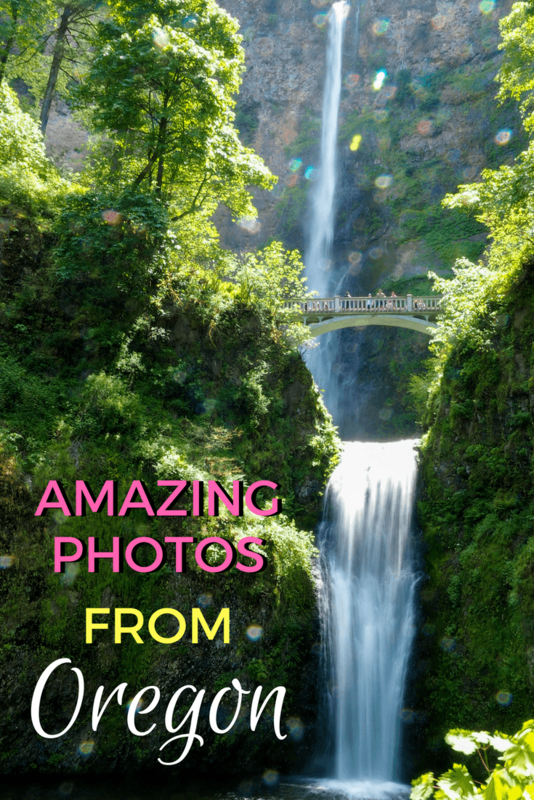 I never would have guessed you could find so much variety in Oregon’s natural beauty! I’m dying to get out and climb Smith Rock one of these days, but now I definitely have some other hikes and drives to plan. Along with exploring Portland’s excellent foodie scene. Variety is definitely the word! There’s so much just in one state! 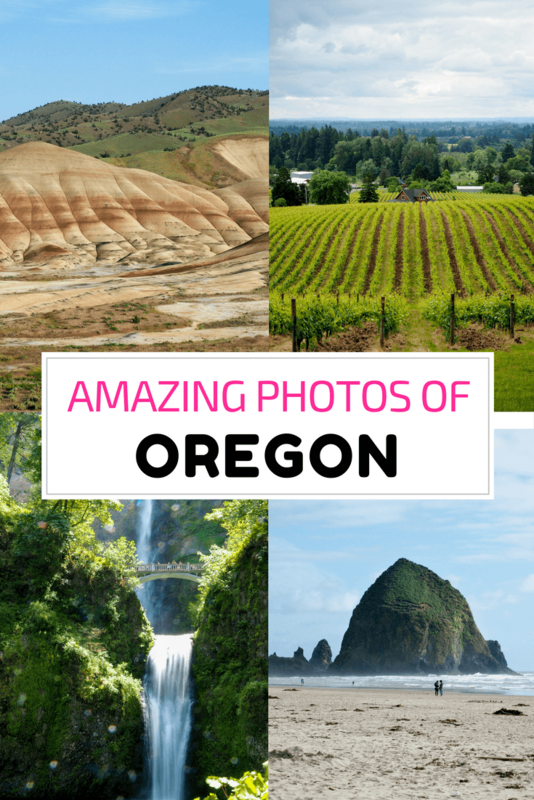 All the photos make me want to visit Oregon. It definitely does look like a beautiful city. It quickly moved up near the top of my list of favorite states! I’ve never been to Oregon, but I always thought it would be awesome to take a road trip around the whole state because there’s kind of a little bit of everything in it. I never heard of Smith Rock or the Painted Hills though, those will definitely have to be added to my hypothetical future itinerary! Many people haven’t heard of the Painted Hills (I guess the Instagrammers haven’t been there yet! haha), but they were one of my favorite places we visited! Yes, it was tough to narrow it down to just these ones! I didn’t know there are painted hills in the US! Gorgeous! I would certainly not hesitated to pay a visit to Oregon! Yes! You don’t have to go all the way to Peru and hike to Rainbow Mountain. 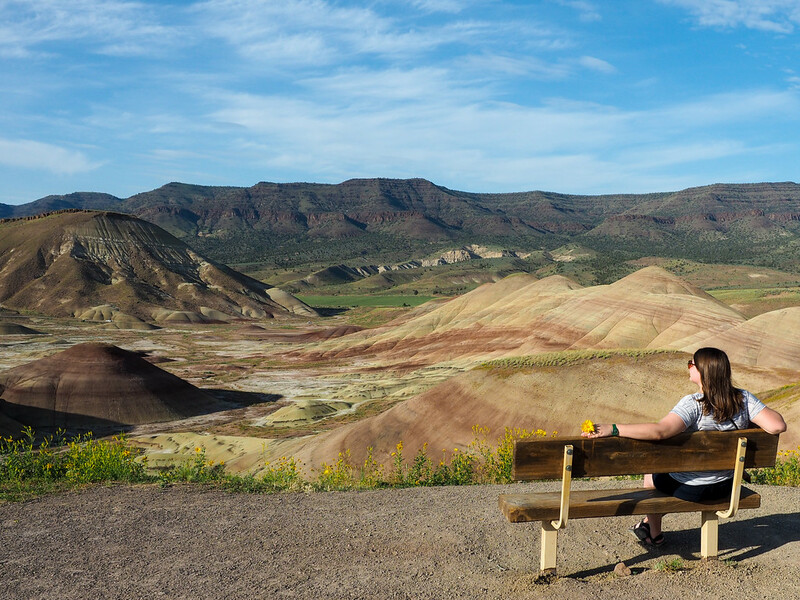 😉 You can find beautiful painted hills that are much more accessible right here in the US! I’ve visited Oregon in the Spring and Fall. Took many of the same pics you did! Love the coast, the forest, Tillamook Cheese Factory, Portland and the tulips in Spring. It truly is a beautiful and diverse state. 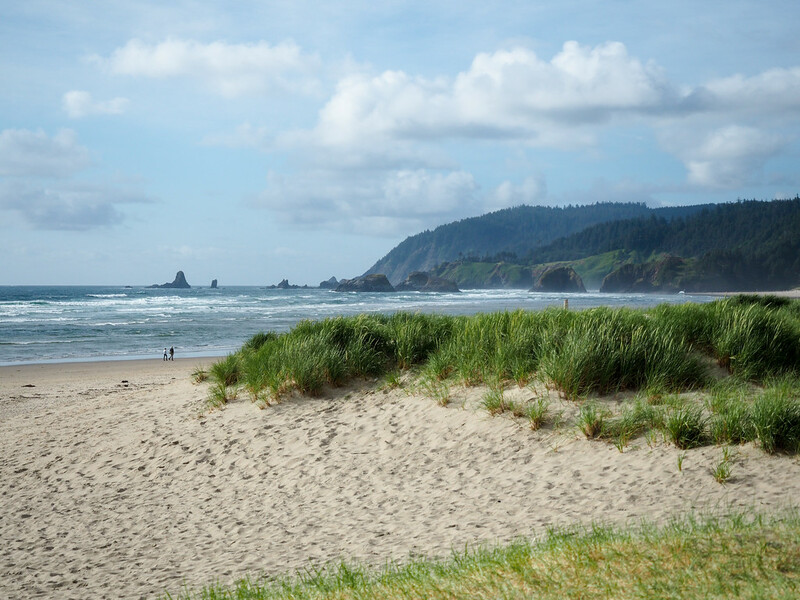 I’ve been to many beautiful beaches around the world and feel that the coast of Oregon is among the most beautiful. Thanks for the great trip down memory lane. Now I want to go back! The Oregon Coast was definitely a nice surprise. I knew it was going to be beautiful, but didn’t expect it to be quite THAT beautiful! Beautiful photos! I’ve never been to central Oregon unless you count Crater Lake, but I’m hoping to make some time for it now that I’m living in the very northern end of California. You should definitely make a trip! Crater Lake is (I’m sure) awesome, but Central Oregon has tons of other really cool stuff to see too! Great post. Your photos are awesome. The drive from Klamath Falls to Crescent City California is one i’ll never forget. Love your post! and no doubt your picture wake my mind up! Thanks for sharing it. Why did you hide Oregon from me all those years! Lol. Thank you for those great photos! Haha, well I only discovered it myself this year!